The summer charter season in the Mediterranean has come to close with yacht charterers concentrating on the warmer parts of the world, in particular the Caribbean. 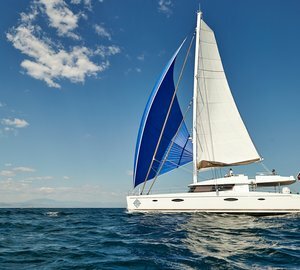 One of the yachts available for yacht charter holidays in this spectacular destination is the Westport Motor Yacht ARIOSO, able to accommodate 10 guests in 5 stylish cabins. 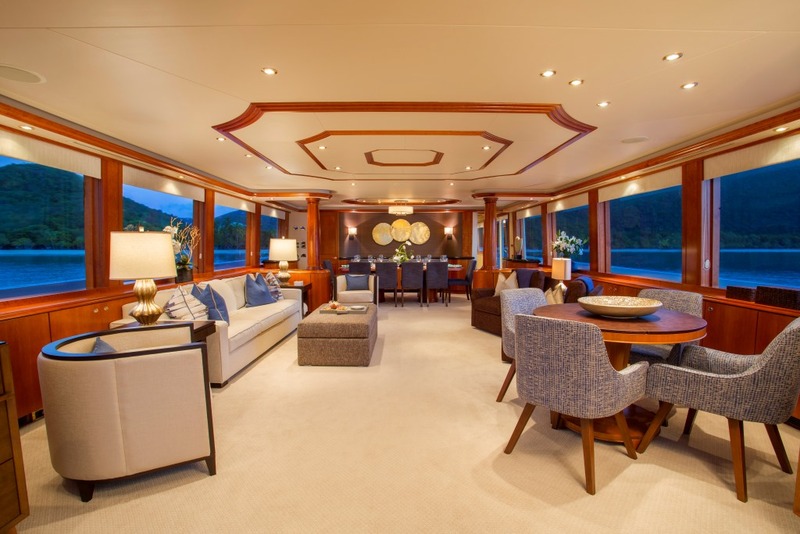 Motor yacht ARIOSO is an outstanding tri-deck luxury vessel measuring 39 metres in length over all and was launched in 2006 by Westport Yacht in the USA. 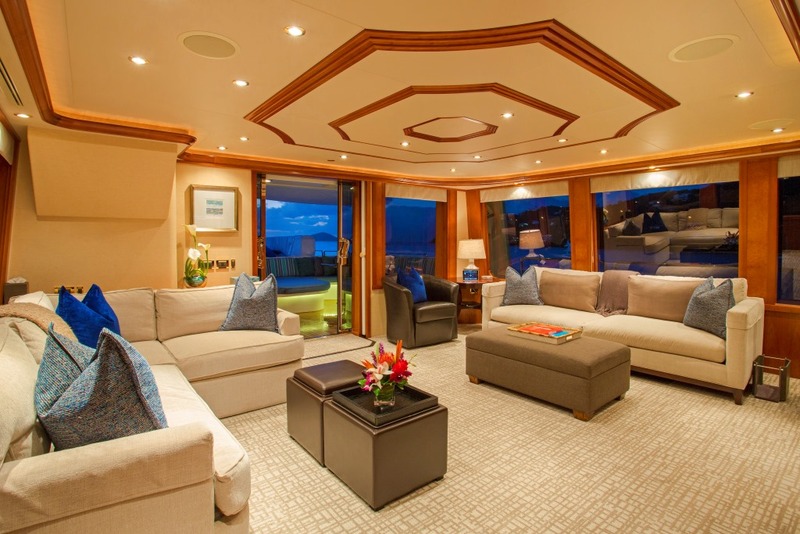 Featuring tasteful and spacious interior as well as exterior, she is well suited for family yacht charters. In addition, she is well equipped with state-of-the-art electronics and communications with V-Sat, Wi-Fi and zero speed stabilisers. 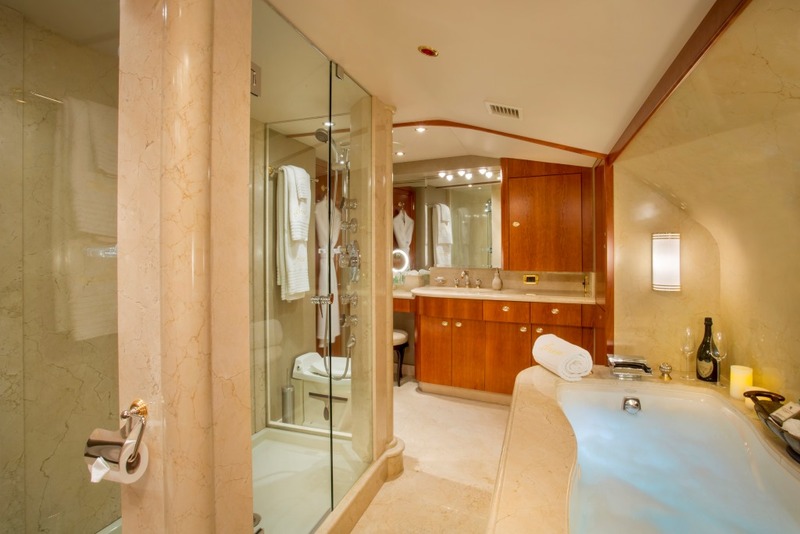 Accommodation aboard charter yacht ARIOSO is provided in 5 comfortable cabins, including the on deck Master Stateroom featuring a king bed, en-suite, his and her walkthrough bath with whirlpool tub and separate shower with full body sprayers. The entertainment centre boasts a 32” flat screen TV/5 disc DVD/VCR/CD/AM-FM Stereo with surround sound. Other amenities are the walk-in cedar lined wardrobe with digital safe, a built in dresser to port with a desk, chair and small refrigerator, as well as a bookcase and love seat. 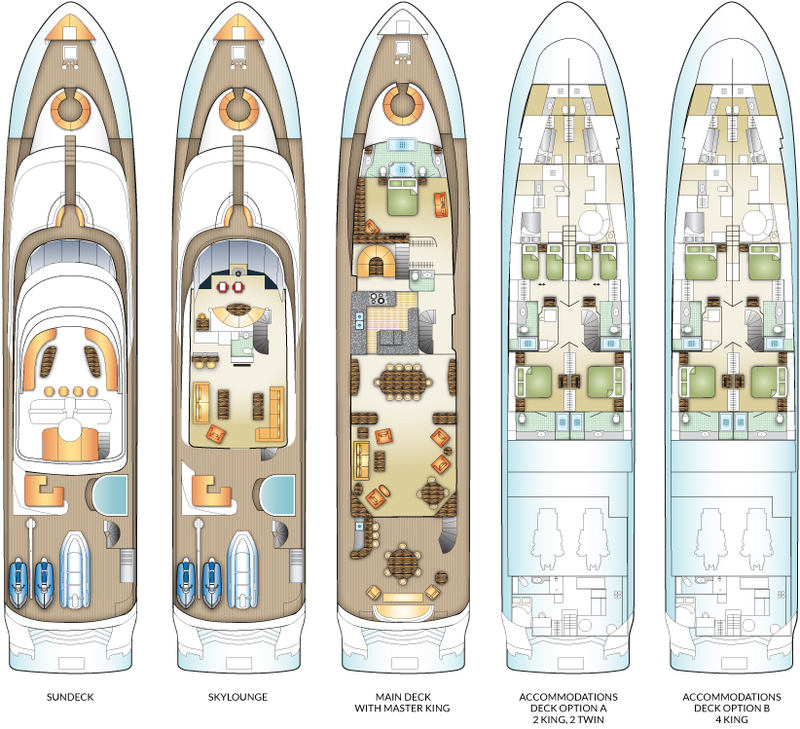 There are two equal VIP staterooms situated below decks aft, one starboard and one located to port. The VIPs have a kind-sized bed, a combination dresser with entertainment centre, featuring a 26” flat screen DVD/VCR/CD/AM-FM Stereo with surround sound. The rooms’ en-suites have a stall shower with full amenities, there is also a cedar lined wardrobe with full length mirror. 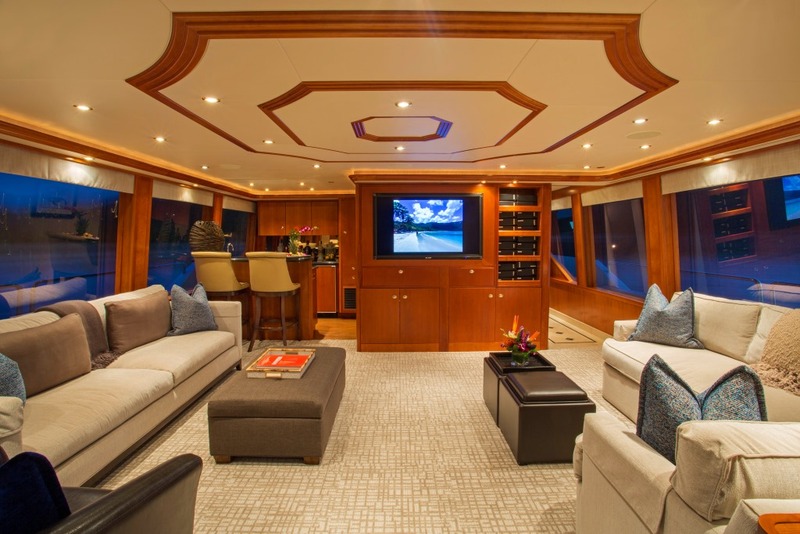 ARIOSO yacht’s equal twin staterooms are situated below decks amidship, one to starboard and one to port. Both of the rooms boast two twin-sized beds, cedar lined wardrobe, built-in entertainment centre with a 26” flat screen TV/DVD/CD AM/FM stereo with surround sound. En-suites have a stall shower with full amenities. Guests are welcome to unwind in the Spa Pool found on the bridge deck as well as savour the dishes prepared by ARIOSO’s chef, grilled on the bridge deck BBQ. There is also an additional outdoor semi-shaded seating area as well as a wet bar. Further dining opportunities are offered by the covered aft-deck with additional wet bar and access to the swim platform. 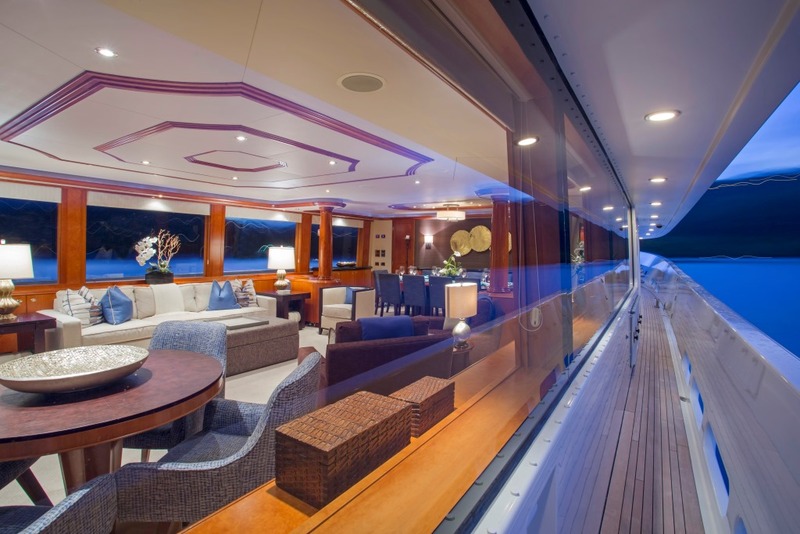 At the bow, the Portuguese deck allows access to a magnificent semi-circular shaped seating area on the fore deck. Another seating area, partially shaded, can be found on the sun-deck together with al fresco dining, wet bar and oversized sun-pads. 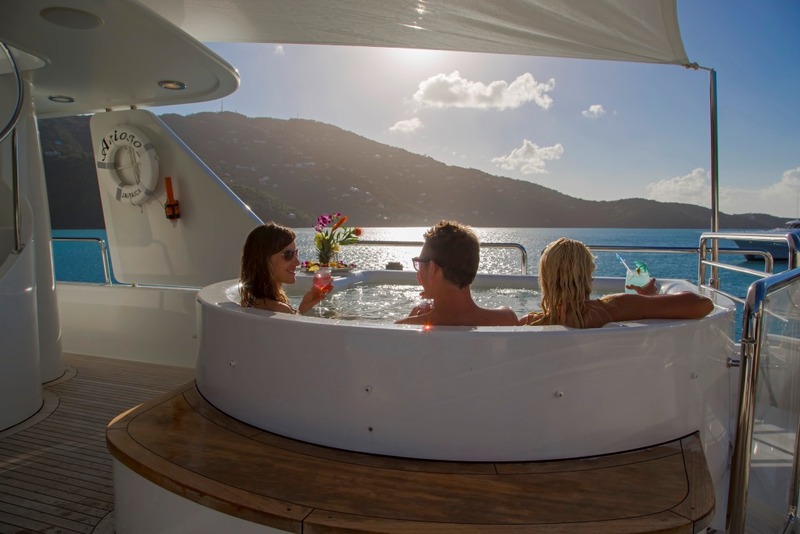 To provide her charter guests with comfort and entertainment, luxury yacht ARIOSO has a 19′ inflatable Nautica tender, 115 HP Yamaha 30′ Intrepid towed tender, 2 x 250hp Mercury, two three-person Yamaha jet skis, one two person kayak, water skis as well as snorkel gear. Furthermore there is a kneeboard a wakeboard, beach toys as well as fishing equipment to entertain both adults as well as kids. 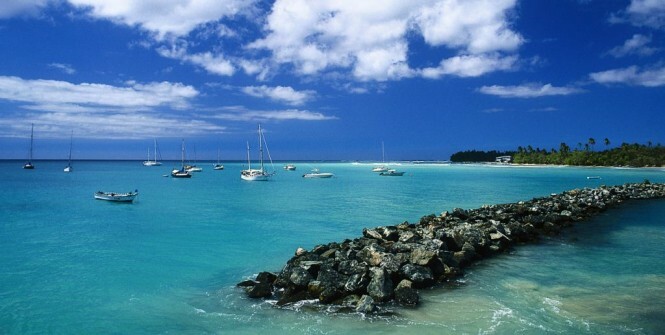 Caribbean Yacht Charters are the most popular charter destination once the European summer season is over. 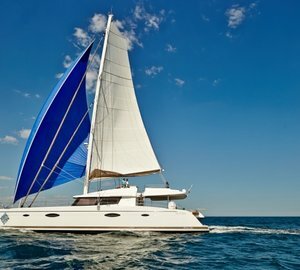 Luxury superyachts, motor yachts and sailing yachts arrive this time of the year to start another exciting charter season accompanied by warm weather, great sailing conditions, spectacular beaches and many exciting destinations to discover. 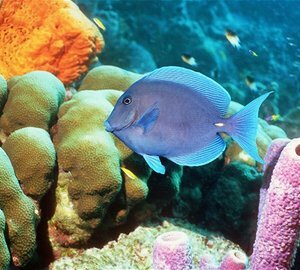 Some of the most sought after destinations in the Caribbean are the British Virgin Islands, Leeward Islands, Grenadines, the US Virgin Islands, Antigua, St Barths, Anguilla as well as St Martin. 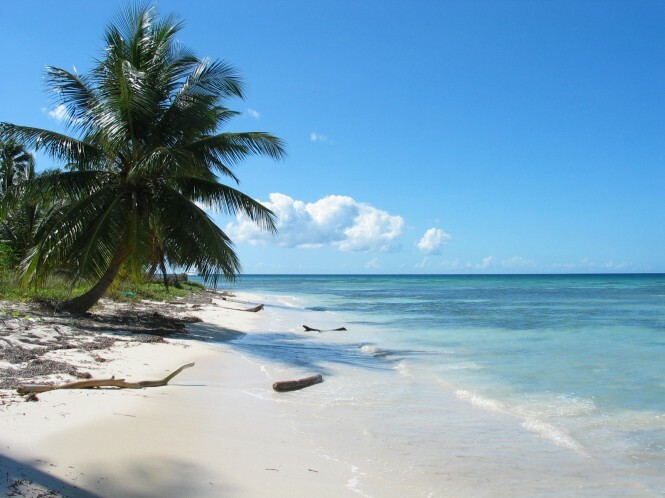 In addition to these popular places, yacht charter vacationers will also have the opportunity to discover less visited exotic and remote islands in the Caribbean. 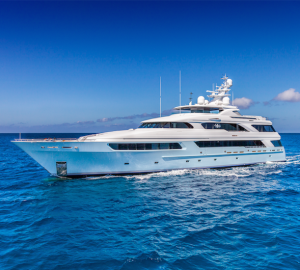 If you are interested in finding out more about superyacht ARIOSO, or would like to obtain more information about the Caribbean Yacht Charters, please contact our friendly brokers here. 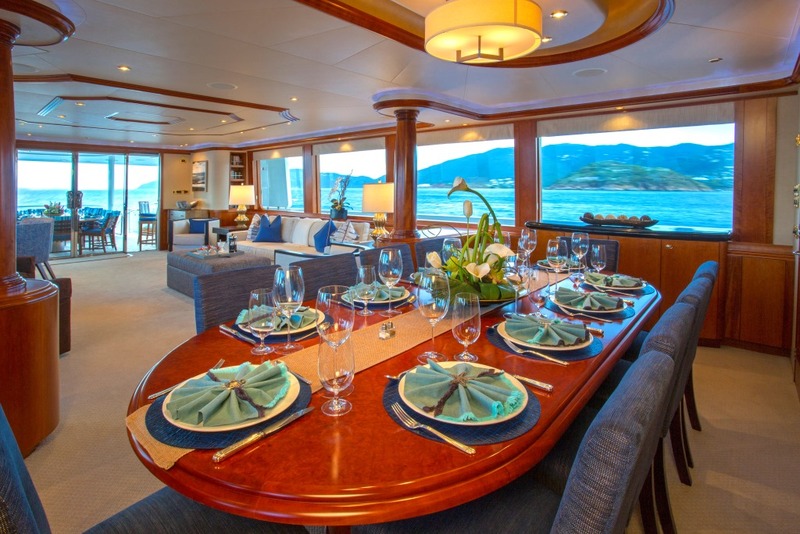 Please contact CharterWorld - the luxury yacht charter specialist - for more on superyacht news item "Fabulous Caribbean Yacht Charter aboard Motor Yacht ARIOSO".